How many pages per individual pack? 100 sheets per individual pack. For those moments where that one great idea pops into your head, our Sticky Note Pads Yellow is the ideal stationery addition. 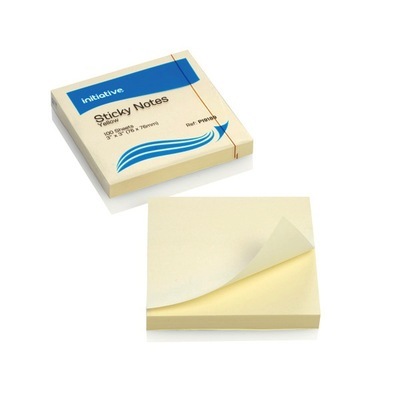 Great for labelling up important documents or using to add extra notes to completed sheets, this three pack of sticky notes have been cut from bright yellow neon paper. Standing out boldly against plain white or plain black paper, these vibrant sticky notes work easily with both pens and pencils while their self-adhesive strip allows them to be placed on most hard, flat surfaces. Suitable for all types of workplace from offices through to nurseries. These sizeable packs are part of our extensive stationery category which includes everything from A4 Ring Binders and A4 Subject Dividers through to Retractable Ball Point Pens for every job.